Next weekend, DiS is hosting a stage at Wickerman. You have 48hours to win tickets. That's right, we're giving away tickets to one of the most unique and wonderful festivals in the UK. 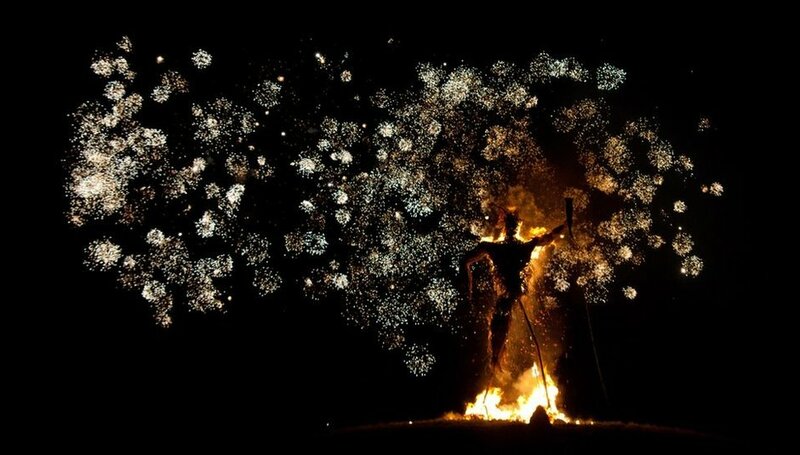 Inspired by the movie of the same name, Wickerman has established itself over the years as a weekend of big acts, breaking new bands and - of course - burning effigies. This year, DiS is delighted to be partnering with the festival for the Phoenix Stage at the event which takes place in East Kirkcarswell, near Dundrennan, South West Scotland on Friday 24th and Saturday 25th July. Our line up features various DiS favourites including Aidan Moffat + Bill Wells, The Pains of Being Pure at Heart, Rick Redbeard, BMX Bandits, Bill Ryder Jones, Slug and many more. For a chance of winning a pair of guest tickets to the Wickerman festivities, simply post a tweet or comment on the Facebook post below with your #WickerBands. Basically, rename a band with pun based on the Wickerman movie film or any of your favourite horror films. i.e. The Wicker Men at Work, Hell & Goats, Heather Edward Woodward Broderick, Revenge of The Body/Head Snatchers, The Mars Poltergeist... hopefully you get the gist. For more information about the festival please visit thewickermanfestival.co.uk.